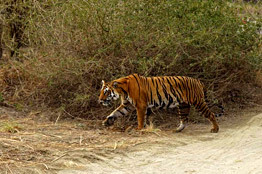 Not only is tiger a beautiful animal but it is also the indicator of the forest’s health. 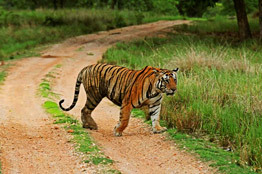 Saving the tiger means we save the forest since tiger cannot live in places where trees have vanished and in turn secure food and water for all. 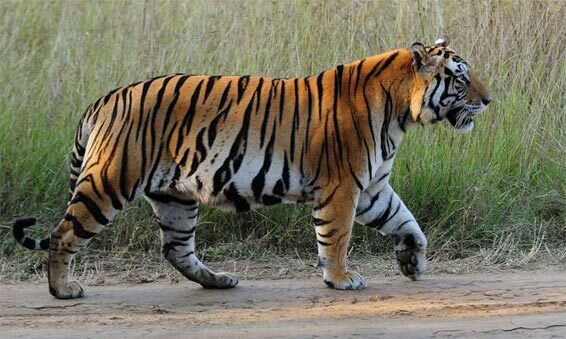 If we make sure tigers live, we have to make sure that deer, antelope and all other animals that the tiger eats (its prey base) live. To make sure that these herbivores live, we must make sure that all the trees, grass and other plants that these prey animals need for food are protected. In this way, the whole forest gets saved! Saving the tiger means saving its entire forest kingdom with all the other animals in it. Also forests catch and help store rainwater and protect soils. In this way we protect our rivers and recharge groundwater sources. Areas with less trees lead to floods, killing people and destroying homes. It takes away the precious soil, leaving behind a wasteland. The soil jams up our lakes and dams, reducing their ability to store water. 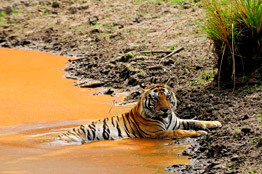 By destroying the tiger’s home, we not only harm tigers, but also ourselves. The tiger thus becomes the symbol for the protection of all species on our earth since it is at the top of the food-chain. This is why we sometimes call the tiger, an apex predator, an indicator of our ecosystem’s health.